The key object of JTB Rebar app is a special dynamic block named "Rebar Callout", used for tagging rebars. All the information of a rebar will be written to "Rebar Callout" block's attributes: rebar size, bending shape and dimensions, number of rebars, rebar mark and rebar table name (or barlist name). JTB Rebar gives you 2 commands helping you to work efficiently with the "Rebar Callout" block. They are JTBW_InsertRebarCallout and JTBW_EditRebarCallout. Note that, there is no synchronization between the Rebar Callout block and the rebar line or pline object. Once drawing is changed, you have to run JTBW_EditRebarCallout to update the information. Run JTBW_GenRebarTables command, then select drawings. The app will parse all rebar callouts in all selected drawings, group similar rebars to groups, then assign unique rebar marks to them. Next, it will create or update existing Rebar Tables (or Barlist Tables) in each drawing. All rebar callouts in all selected drawings will have their mark updated. Finally, all rebars information will be updated to Rebar spreadsheet.xlsx Excel workbook. The command's name is JTBW_DetailBeam. 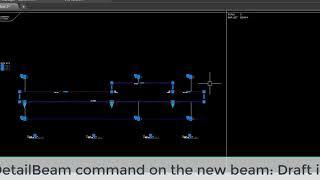 If you are drafting multi-span beam with varying heights every day, then this command can be a game changer for you. The unique feature of the app is you don't have to enter beam's dimensions to a window with text boxes and combo boxes, etc. ! 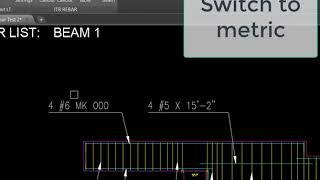 The input form for the beam is the AutoCAD drawing itself! 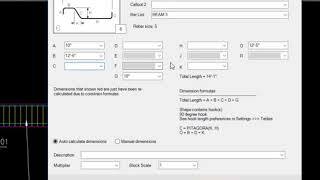 You draw your beam sketch, fill information to input blocks of beam section, rebar, rebar tie, anchor, etc. You can also copy your sketch to make another beam! Then, based on your sketch, JTBW_DetailBeam command will generate the final drawing of the beam. Moreover, beam's rebars will be tagged properly by "Rebar Callout" blocks. 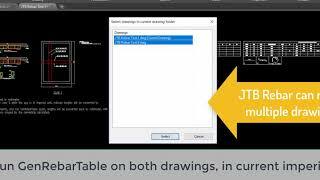 Therefore, to create the Rebar Table (or Barlist Table), it is just one click away by running the JTBW_GenRebarTables. JTB Rebar app page on JTB World's website.